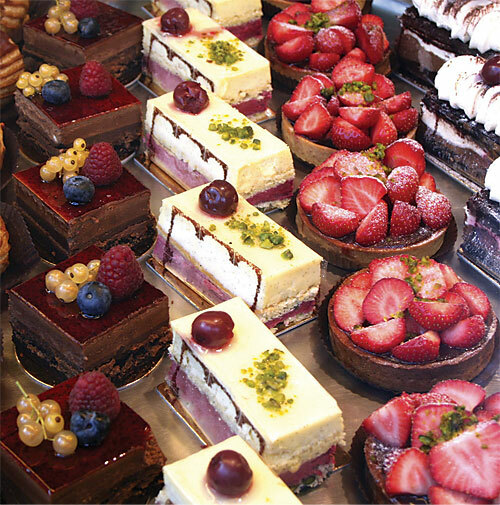 Cakes with icing, fancy pastries and cream-filled baked goods often contain significant amounts of dairy products. Radiation from light causes premature discoloration, accelerated growth of food-borne pathogens, and dehydration in bakery products. These products experience premature discoloration and accelerated growth of food borne pathogens in the presence of unsuitably high levels of visible and non-visible radiation emitted by regular artificial light sources. Safe Spectrum® lighting by Promolux® reduces the rate of spoilage and discoloration while still showing the mouth watering freshness of your bakery display.